Because much of our business is based on Internet delivery, we tailor-make web vehicles to present your company in its best light. Since packaging is so crucial in market penetration, we devote tremendous time and effort in helping you put your best foot forward. 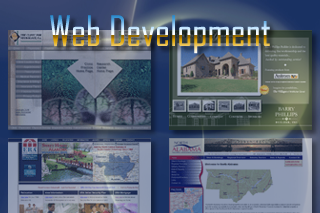 Our HTML & Graphic Creation Rates start at $75.00/hour. However, most of our packages are priced inclusive with everything you require to deliver your presentation to the public. We offer web site design from simple informational sites to sites full of search engines, secure merchant accounts, & auto-responders.